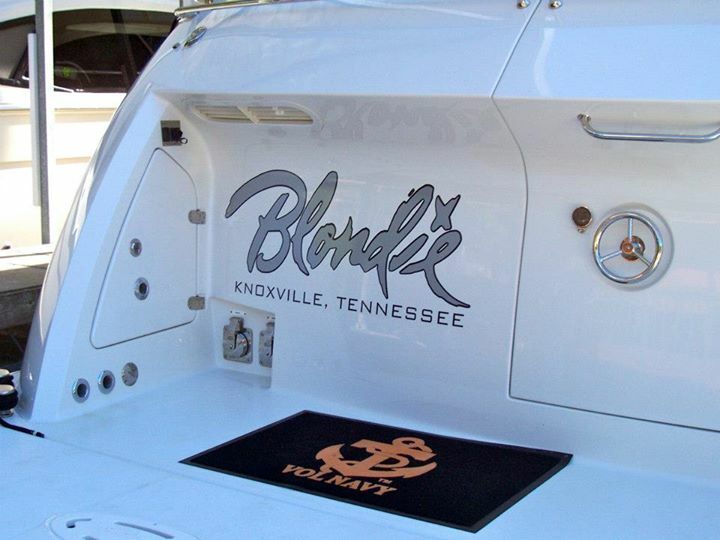 Printedge has placed graphics on boats in nearly every lake, river and stream in East Tennessee! Printedge has been giving boats unique identities for over 30 years. Whether you need simple registration numbers for your fishing boat, or your yacht needs her stern decorated with a customized logo that's uniquely yours, we'll make sure you travel the waters in style. Click the Flickr or Pinterest logo to visit our Boat Graphic gallery on the respective sites. Or browse our collection below.